Leo’s science fair project is coming along great. John is sure Leo is going to wow his classmates. Leo has no complaints about the project. But John could use a little more sleep. The birds were making a big racket and woke him up. The cardinal is pecking the side mirror of the truck. Leo needs a picture of that. It’s part of his science project. John got up on the wrong side of (the) bed. The tapping sound is driving him crazy. 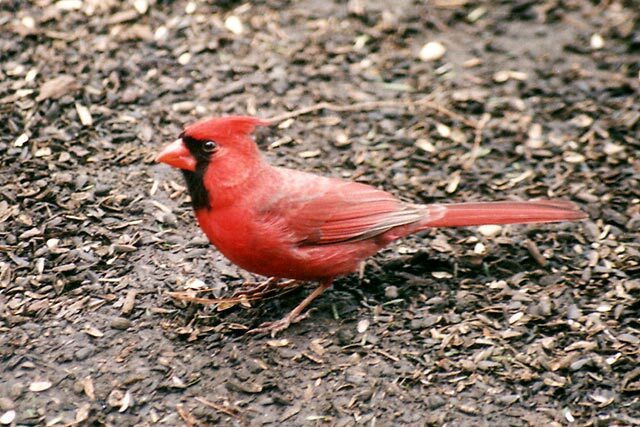 The cardinal is pecking at their window.